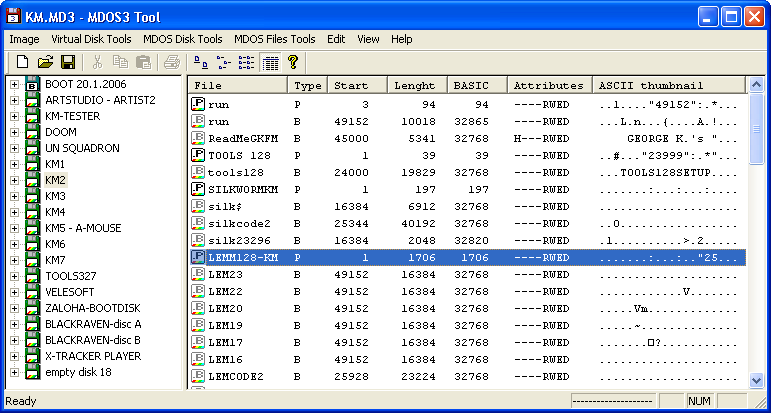 MDOS 3 is a divIDE enhancement of MDOS/MDOS2 systems which were used in D40/D80 disk units. 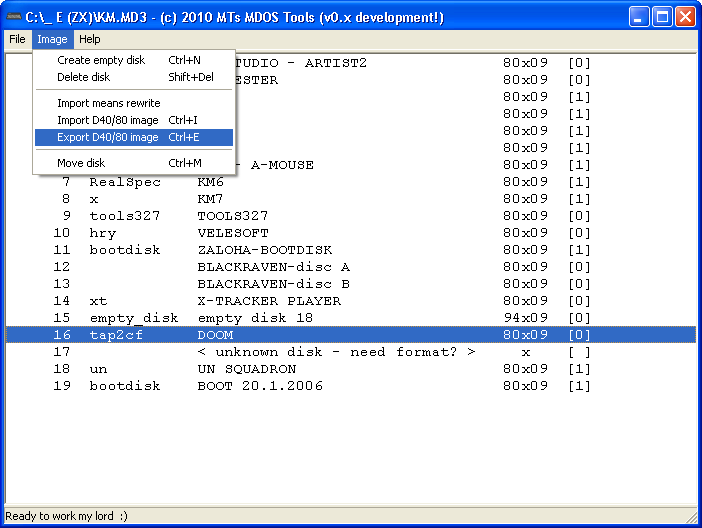 MDOS3 is a full-featured OS working with raw diskette images and supporting up to 4 virtual drives. One of its divIDE-specific add-ons is a tape emulator. With huge D40/D80 software base available this is worth a try, especially if you're a former Didaktik user. New DOS for Didaktik Kompakt/D40/D80 interfaces with DivIDE support. 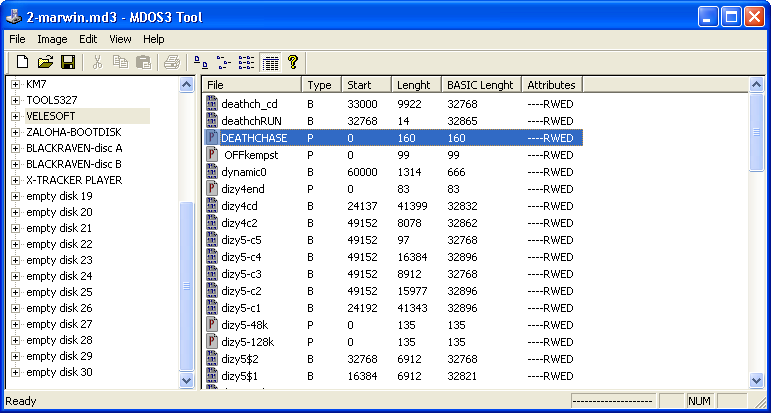 Need only IDE ports from DivIDE interface + monitor "Devastace" writed to DivIDE eeprom. DivIDE must be connect with open jumper E (JP2) ! 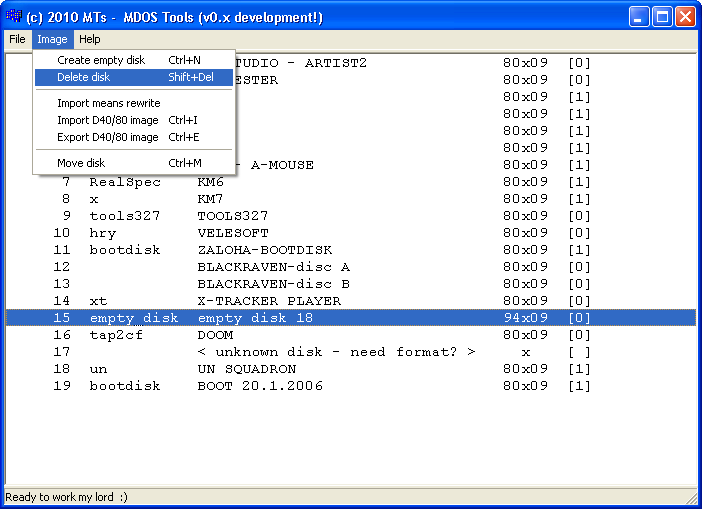 Format of virtual fdd images on HDD/CF is same as in MDOS 3 system (backward compatibility).